On the thirtieth of October 1485, two months after his unlikely triumph at Bosworth, Henry Tudor, formerly the Earl of Richmond, was crowned at Westminster Abbey. His uncle Jasper had the honor of holding the crown while his stepfather, Thomas Stanley, carried the sword of state. The two men had been amply rewarded days before when they’d been created duke of Bedford and Earl of Derby respectively. The ceremony was performed by the John Shirwood (Bishop of Durham) and Robert Stillington (Bishop of Bath and Wells), supported by Courtenay (B. Exeter) and John Morton (B. Ely). Although the Archbishop of Canterbury didn’t play a prominent role, as the head of the church in England, it still fell on him to anoint the King and place the crown on his head. 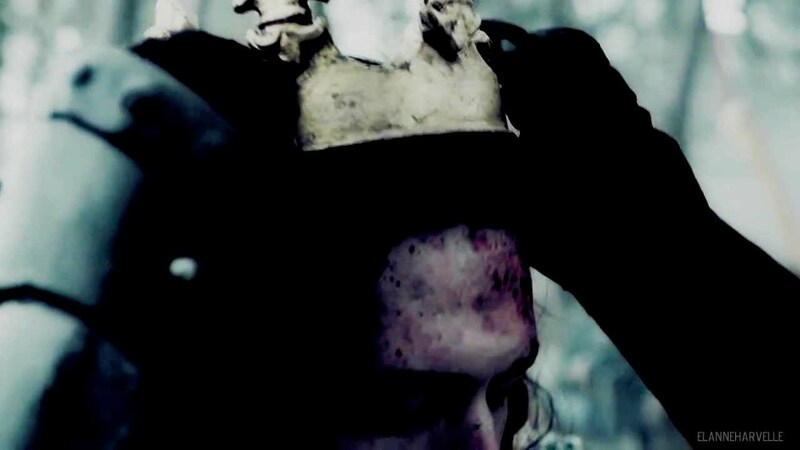 Henry VII in the “White Queen” placing the bloody crown on his head. It was an expensive ceremony fit for a king, especially one who was doing everything in his power to convince his new people that he, and no other, was chosen by God to rule England. As for the King himself, his mother was determined that he would outshone his Yorkist and Plantagenet predecessors. And he certainly did. Not only were the courtiers dressed for the occasion (as was their new King), but the Abbey itself was filled with splendor. Margaret’s confessor wrote that upon seeing her con crowned “she wept marvelously.” And she a lot to be happy for, but her tears weren’t of joy but of fear. Margaret had lived through a tumultuous time we now know as the wars of the roses. Kings and Queens were humiliated, deposed, and it had turn everyone against each other. Henry, for all she knew, could be just another passing King. Historians such as Norton and Lisle make a point, that Margaret did become a force to be reckoned with, in her son’s reign. “What power she would have” Lisle writes, “would be behind the throne.” But in the meantime, all their worries were left behind, as Henry enjoyed this moment of triumph. Following the Mass, Henry returned to the Tower of London for the coronation banquet. Jasper took precedence over the other nobles, riding ahead of them, his horse trapped with cloth of gold trimmed ermine. After the first course, Henry’s champion, Sir Robert Dynmock came in, issuing the customary challenge, demanding who would challenge the King’s authority. There were more performances to be found that day, among them the iconic representation of the royal arms of England and France along with those of their new king emphasized his Welsh ancestry. But more prominent among them was the Tudor rose. 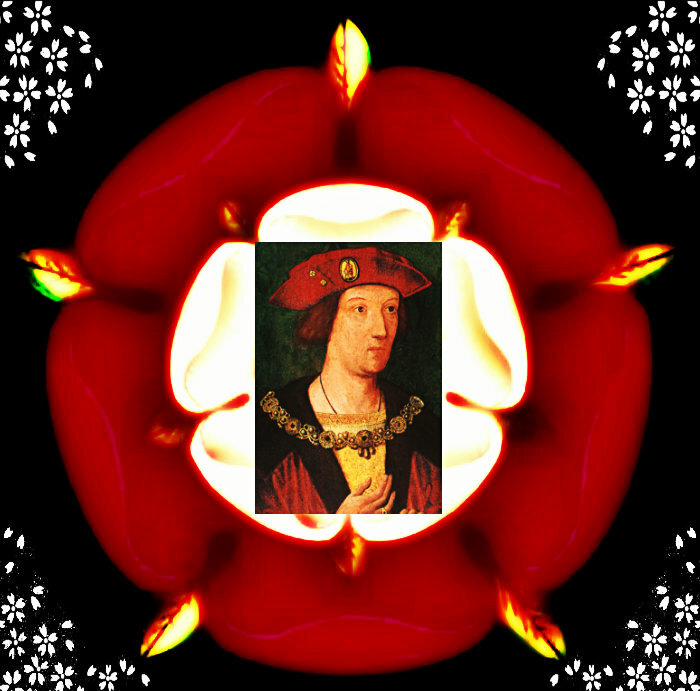 Henry Tudor was a religious man, and as those that came before him, he chose a rose because of its religious significance. The red rose was a symbol of Christ’s passion, while the five petals corresponded to the five wounds Christ had suffered on the cross. Roses were ones of the most notable symbols on the Abbey, and on the courtier’s clothing. 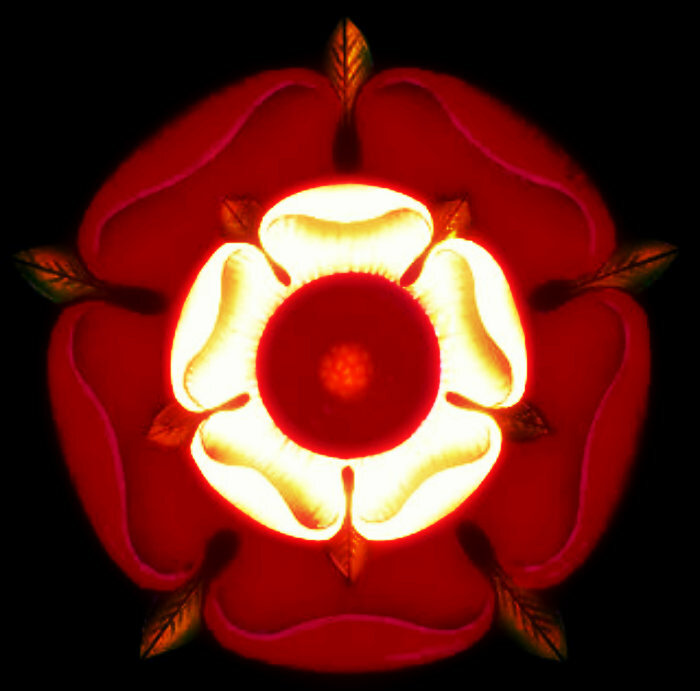 But it wasn’t just the red rose, it was the white one as well which became representative of the late House of York. The York dynasty had relied on other symbols to represent their dynasty. 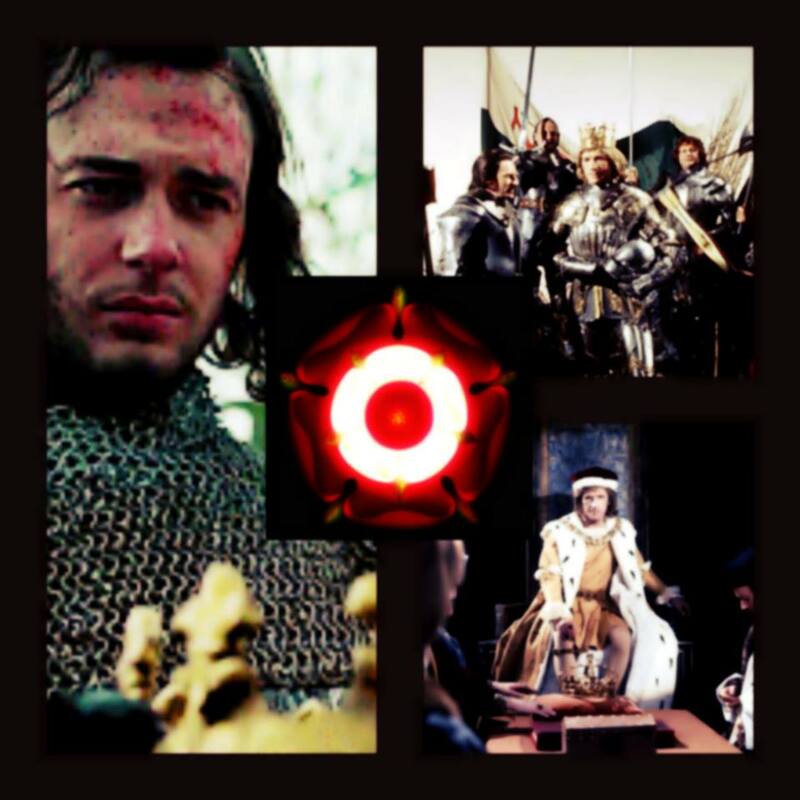 Although it was a preferred symbol of Edward IV, he had also used the Sun in Splendor, to commemorate one of his victories, and his youngest brother, Richard III had opted for the white boar. Henry used this because it was simple and because it represented a new era –one in which Lancaster and York would be united and were there would be no cause for war. While this wasn’t entirely true, it still worked because for many people, centuries afterwards, the Tudors would come to represent the union of these two warring houses, and become one of the most famous dynasties in world history. Ironically, before Henry became King of England, when he was just a child, the bards sang songs in honor of his late father (Edmund Tudor) and predicted that great things awaited his son. When he landed on Milford Haven in Pembrokeshire, Wales, the bards sang louder, praising now his uncle as well, saying “Jasper will breed us a dragon” claiming that Henry was the chosen one, the prince that was promised, of an ancient Welsh prophecy. Never forgetting who was responsible for his rise, he rewarded many of his Welsh supporters with lands, titles and offices. Henry VII would go on to reign twenty five years. On his death, he was succeeded by his son, Henry VIII whose reign would eclipse his father’s, and to prove his greatness, he commissioned one painting known as the ‘Dynasty portrait’ where he asks viewers an important question. Who was better, the son or the father? He acknowledges his father’s achievements but says they pale in comparison to his. 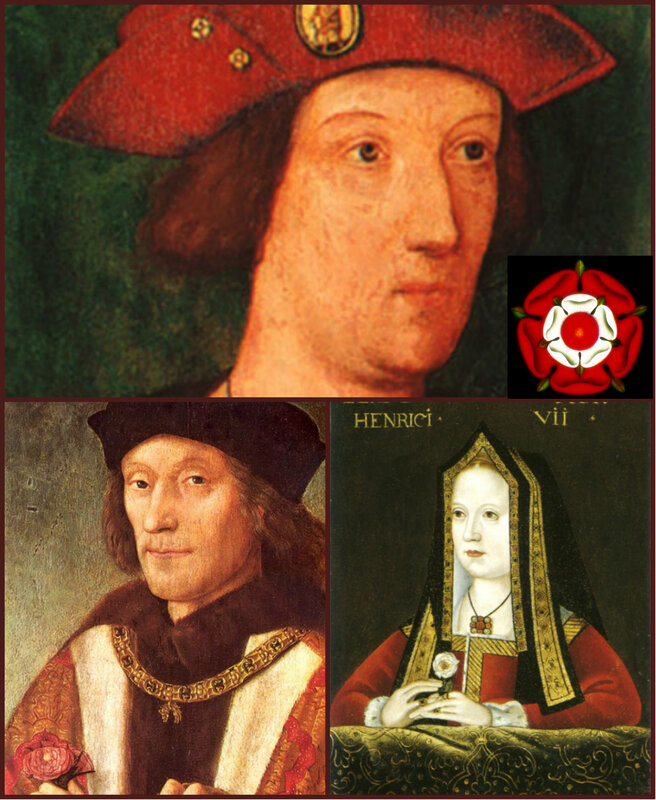 While Henry VIII is the most famous of the three Tudor kings, it is unfair to leave Henry VII behind. As a kid, his future was always being negotiated by his mother, uncle, and his caretaker (William Herbert), and as a teenager, he spent his teenage years and most of his young adult life in hiding, fearing for his life. When he finally came back, the odds were stacked against him and still, he won. As King, he continued to fear for his life, and although he was a good husband and father, he became a shell of his former self after his son died, followed by his wife and baby daughter a year after that. Buried at Westminster Abbey, next to his wife, at the chapel he constructed for him and his descendants, is a testament to the appeal this dynasty has had -and no doubt will continue to have in many years to have. On the 20th of September 1486, Queen Elizabeth of York gave birth to the first prince of the Tudor dynasty, a baby boy named Arthur at St. Swithun’s Priory next to Winchester Cathedral. This was no coincidence as Henry wanted his crown heir to be born in the place where it was believed Camelot once stood. 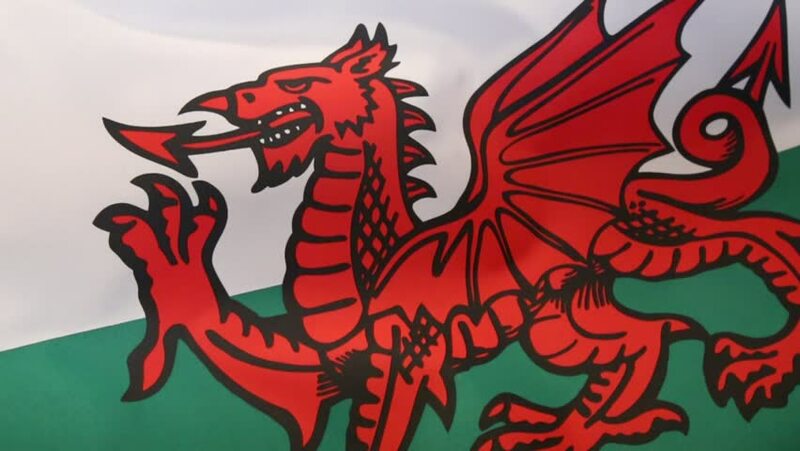 Henry was proud of his Welsh roots and he wanted to exalt them, by naming his crown heir, Arthur after the legendary king who unified all Britain. From the start, Henry VII, was doing his best to solidify his place in English history and the rest of Europe. When he married Elizabeth of York that same year, their union was widely celebrated. A new emblem was a created. Not surprisingly then, Henry VII felt even more drawn because of his Welsh roots. On the road to Bosworth, he chose for his main standard the dragon of Cadwalldr and thanks to his uncle Jasper’s popularity in that area, the bards sang songs about him being their prophesized savior. Arthur was the embodiment of these myths, being born at the place where many believed Arthur’s fabled city of Camelot once stood, and where a replica of the round table was held at the ceiling of Winchester Cathedral, and of his father’s ambitions. He was a prince of both Lancaster and York. For her part, Elizabeth had been preparing for the birth since Easter with the help of her mother-in-law, the indomitable Margaret Beaufort [Countess of Richmond]. Besides her, Elizabeth had the company of her mother and other female relatives. Birth in this period was exclusively a female thing and although doctors were present, they were not normally involved in childbirth. They were just there to act as consultants. It was up to Elizabeth’s women and the midwives to assist her during the birth. When her labor began on the 19th, natural creams would be applied on her abdomen. These would mostly consist of a mixture of distilled marjoram and saffron and brandy to “aid the contractions and help lessen the intensity” of these. Although medical knowledge was limited, Alison Weir writes that the “practices employed by midwives” were fairly modern. is that your pure appetite? Arthur was christened four days later at Winchester Cathedral. His godparents were John de Vere, Earl of Oxford, his grandmother the Queen Dowager, Elizabeth Woodville, and his step-grandfather, Thomas Stanley, Earl of Derby. After the ceremonies were over, the Queen’s sister, lady Cecily returned the baby to his mother. Less than a year later, Elizabeth would be crowned. Margaret Beaufort was not present at this event, but she was very present in the child’s life. While the proud parents would boast of more children, only three would survive them. 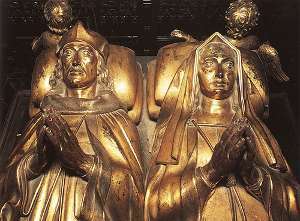 Margaret, Mary and Henry Tudor would go on to become Queens and King, while their crown heir would die before his time.